Guru Nanak had made 5 Separate Amazing Journey’s to distant lands to spread the Word of God. 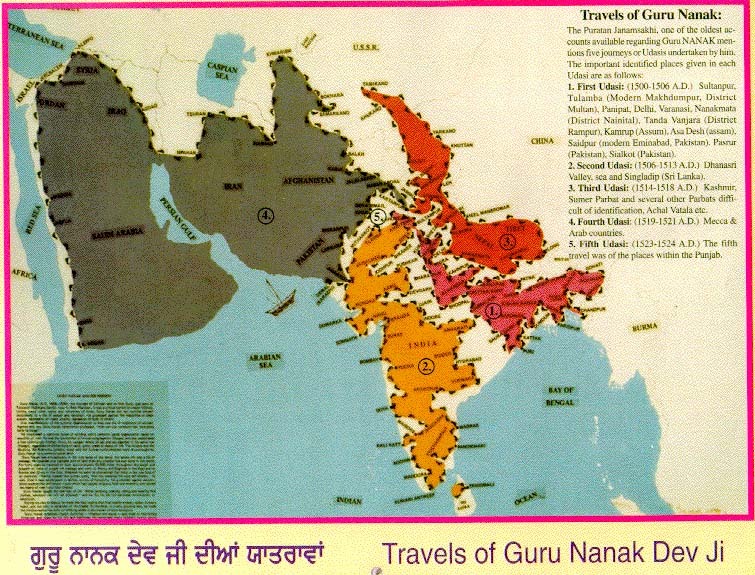 If you look carefully on the map, you can see the tiny footprints that mark the path that Guru Nanak took during the 5 journeys. On land, Guru Nanak had made all these journeys on foot! !